Pole Bending is a rodeo event that is commonly competed in by youths from junior rodeo associations through high school rodeo. It is also an event that is a common performance class at horse show events. 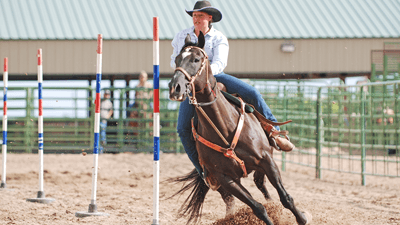 This is a timed event that features a horse and one mounted rider, running and weaving around six poles arranged in a line.